A magnificent Villa House in the Cosmopolitan Mykonos, the gem of the Greek Islands. Built according to the Cycladean Architectural Style, in conformity with the environment and the Landscape. A house of 2,400 sq.f. with its own Independent Guest House, Pool, Deck and Outdoor Living Space - even a little Taverna by the Pool!! 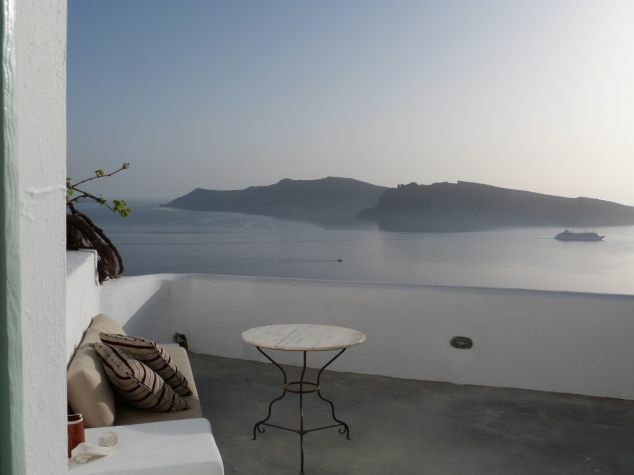 A Duplex Villa with Living room, dining room and kitchen on the first floor with a magnificent View of the Island. On the pool level, 4 bedrooms with their own bathroom. Huge pool for special moments. 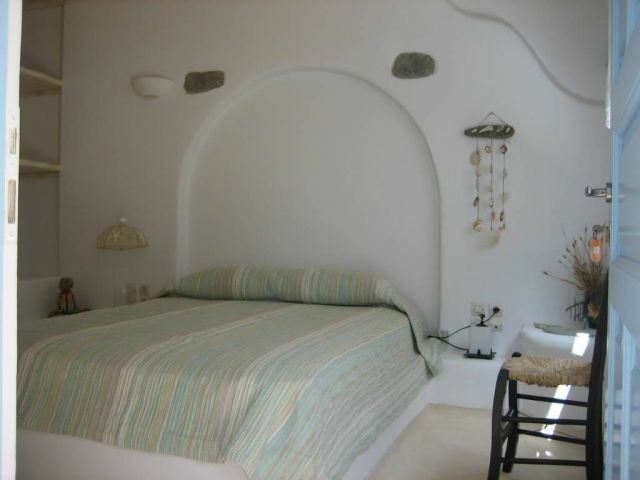 A separate Guest house which can accommodate a couple, designed exclusively according to the Architecture of the Greek Islands.It is right by the pool, the Taverna ( private little restaurant) and the pool. The Villa is situated in Kantouna, at the Northern part of the Island of Mykonos -on the Road to Ano Mera and on your way to Panormos - one of the most famous Mykonos Beaches. Perched on on of the highest places of the community, with the magnificent view of the inland Mykonos and the neighboring island of Dilos. Only 7 kms from the Mykonos Port, and 2,5 kms from the Panormos Beach and close to the Medical Center, Supermarket and Bakery. Live the Dream of Your Life!!!! Rental Packages from $19,000 - $30,000 vaying with the rental month.